The Kordai checkpoint at the Kazakh-Kyrgyz border will be reconstructed, Prime Minister of Kazakhstan Bakytzhan Sagintayev said, Trend reports via Kazinform. "The Ministry of Industry and Infrastructure Development is working on the design and estimate documentation for reconstruction of the Kordai checkpoint at the Kazakh-Kyrgyz border, the implementation of which is scheduled to begin before the end of this year," Sagintayev said in response to an MP's request, published on the website of the Kazakh Parliament. 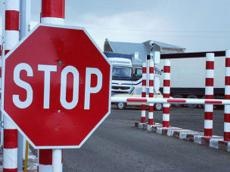 The prime minister noted that the remaining six checkpoints on the Kazakh-Kyrgyz border currently do not require reconstruction and provide uninterrupted passage of vehicles and passengers.